New shirts. Below is an example of one. 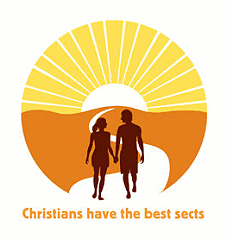 But Catholics report having the most fulfilling and satisfying sects.